Adding a membership system to your website or protecting parts of your content and making them exclusive to subscribers can be a profitable way to run your blog or website. This can even be applied to online shops, whereby you can make certain products or promotions available to members only. That gives your content and products a sense of exclusivity, and therefore higher value, allowing you to gain revenues from selling the subscriptions/memberships. There are plenty of tools that membership plugins can offer you in order for you to establish such a system and be able to manage it properly. In this article, I'm going to show you 10 of the top plugins in that area, and you'll get to know what each of them specializes at. WooCommerce Memberships enables you to create an online shop exclusive to your members, where they can get special products, discounts, and content. This plugin is not merely concerned with content protection/restriction, but rather enables you to put together an entire membership system that totally justifies its somewhat big price tag. For starters, the plugin lets you set a strategy for content access, meaning that you'll be able to pre-schedule which pieces of content on your website can be accessible by which group of members and when. What's more exciting about this plugin is its e-commerce features. Since WooCommerce is primarily an e-commerce platform, this membership plugin is also focused in the main part on organizing your online store. You can use it in order to restrict the viewing of certain products or categories in your shop to members, and you can impose the restriction on purchases while allowing anyone to view the products. WooCommerce Memberships also enables you to provide more favorable purchasing and shipping terms to your members. 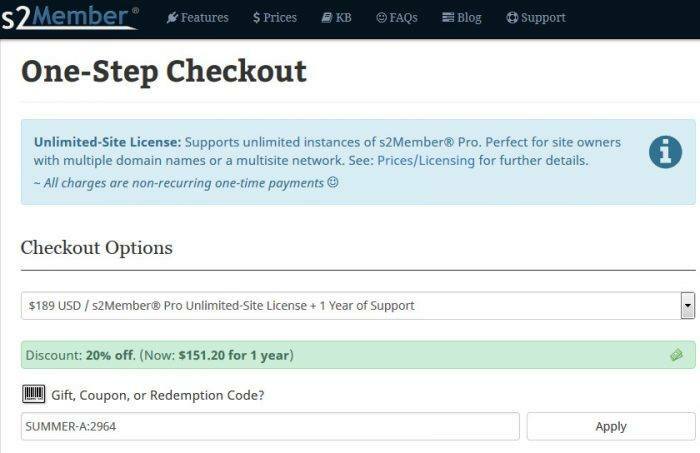 Special discounts can even be issued for members using the plugin. Communicating with members is also facilitated through the “membership notes” feature which lets you send special messages to members via email. Last but not least, if you've been running any sort of membership scheme before installing this plugin, you can rest assured that importing your existing members into the plugin will be quite an easy process. Using S2Member, you can create a comprehensive membership system with multiple payment gateways. Due to its amazing level of practicality, S2Member has over 1 million websites running their membership systems on it. The plugin basically lets you customize your whole membership system, protect any sort of content you want with it, and connect it to countless payment gateways. Using simple shortcodes, you can protect your posts, tags, categories, video & audio streaming, bbPress, and even specific parts inside posts. The protected content can be made accessible exclusively to members, who can be subscribed to either one-time or recurring memberships. 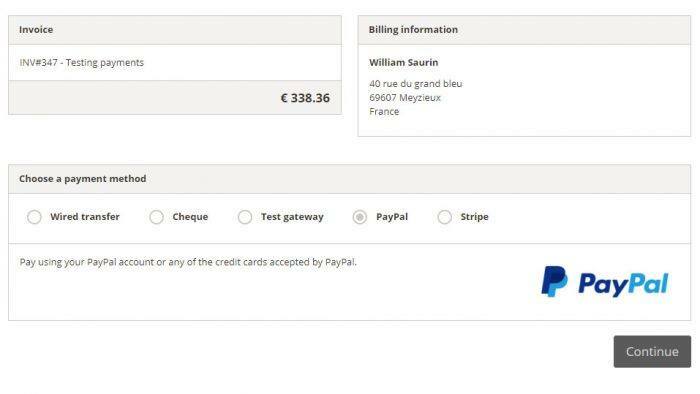 S2Member can be integrated with PayPal (Standard and Pro), Stripe, Authorize.Net, and ClickBank. It even facilitates payments by Bitcoin. Thanks to the documentation put forward by the plugin's open-source developers, the video tutorials that come with it, as well as more than 50,000 articles on the plugin's forum, anyone can fully utilize the features provided by S2Member no matter what level of expertise they possess. There are some extra features like content dripping shortcodes, coupon code configuration, gift codes, and a number of other powerful tools that come with the plugin's pro version. Paid Memberships Pro does not only facilitate memberships, but can also help you turn your website into a closed online community with email notifications, membership levels, payment channels, and much more. There are many things that can be done with Paid Memberships Pro beyond simple content protection. You can use the plugin for running a closed online community or creating a website for your organization that can be accessed only by its members. The websites of special interest groups benefit a lot from the plugin's features, too. You can also build an online directory with paid subscriptions which can be one-time or recurring. The same goes for specific content pieces, sections, or tags. If you have your own podcast or blog, this could be a good way to monetize your content. In any of these cases, your website's members will have their own dashboards to view your content from, you'll be able to customize email notifications for them, and you can choose to hide your ads from them. The membership levels that you can create through this plugin are unlimited, and it's only you who gets to determine them. For each of the functions that were just mentioned, there are many tools and parameters that you can fully control in order to impose the membership system that you want. There are six major payment gateways that are integrated with the plugin. These are PayPal, Braintree, Stripe, Authorize.Net, CyberSource, and 2Checkout. After the system is set and the payments are facilitated, you will get to evaluate the performance by looking at the plugin's reports. You can customize these reports to emphasize the indicators that you think are most important. If you don't find all of that sufficient for your requirements, you should know that the plugin has over 70 add-ons, facilitating features like membership approval, member directory, member homepages, subscription delays, and so on. It also integrates with several third-party tools like LearnDash, AffiliateWP, WooCommerce, bbPress, AWeber, and MailChimp. WP Customer Area can help you create a platform where members can exclusively purchase products, view content, and leave their comments. Using WPCustomerArea, you can protect your content, make it exclusive to paid members alone, and even block search engines from being able to index that content. That means that the plugin fully secures your content and gives you full control over its accessibility. One of the plugin's add-ons even takes that to a new level by enabling you to share certain content with specific roles or to create your own user groups and share the content accordingly. Unlike most content protection plugins, WPCustomerArea allows comments on protected content, and these comments, too, are made exclusive to members. That way you can build a whole community of members around your content and have them engaged in conversations together. You don't need in this case to send out emails and whatnot. There are other premium add-ons through which you can turn your website into something close to a social network. You can facilitate private conversations between members, as well as shared projects and task lists. All of these features can be integrated with almost any WordPress theme that you are using, and if you have developers on your team, you can have them extend the plugin by adding their own custom features. Finally, memberships can be paid for via PayPal and Stripe. MemberPress will keep you updated at all times with every detail about your website's members. There is a lot to be said about MemberPress but I'll try to briefly underline its most powerful features. Because MemberPress was designed from the outset to be integrated with WordPress, the PHP and WordPress.org coding standards that were respected in the developing of the plugin make it extremely easy to set up, and completely stable and secure once it is running. The plugin puts you in full control over the “access rules” that are to be applied to your website. You can protect specific posts, categories, tags, child posts, or pretty much any file installed on your WordPress domain. Since MemberPress integrates perfectly with BBPress and several other forum plugins, you can use this membership system to create an exclusive community on your website. Add to this the fact that you can set up an affiliate program for your members. MemberPress can fully integrate with Affiliate Royale, and the pro version of the plugin actually comes with Affiliate Royale included in it. MemberPress also enables you to create coupons for your members, and decide everything from their codes and amounts to their number of uses and expiration dates. The plugin allows content dripping, too. The best part is that your members will get to manage everything regarding their subscriptions on your website. They can cancel, update, upgrade and pay for the subscriptions there. Without having to install a separate pricing table plugin, MemberPress actually provides you with some decent templates for that, and by entering your preferred payment gateway's API key, you can integrate it with the website and have your members pay through it. All of this will be covered in the reports that you will be receiving on a regular basis on your MemberPress dashboard. With this plugin, you have the capability to create an unlimited number of subscription levels with separate packages. 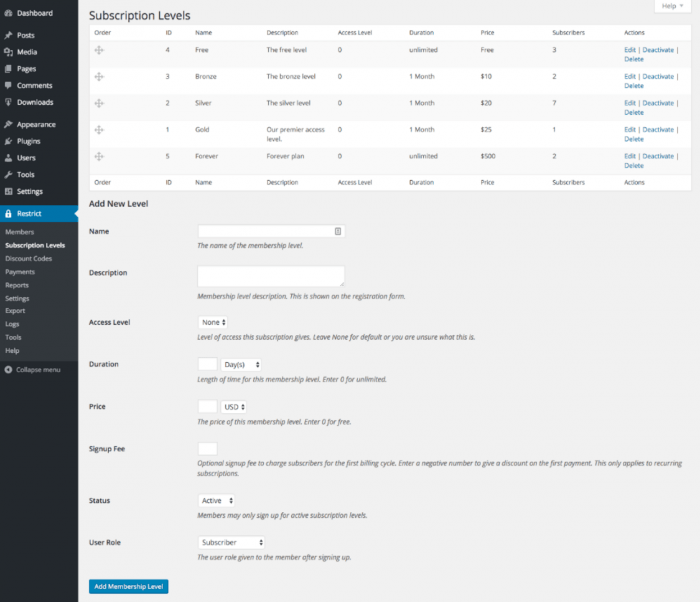 Restrict Content Pro enables you to create any number of different subscription packages to be sold to your members. These packages can be formulated in various ways with any combination of features since you have full control over your content including posts, categories, and tags. You can also create discount codes with flat rates or percentages to be used by your members. The issuance of these discounts and the management of memberships can be done via your dashboard, and you can send members emails to notify them about anything from payments to renewals or expirations. The plugin also offers some robust data management tools. Through its analytics, you will get to see which membership packages are the most popular, how frequently members renew their memberships, and so on and so forth. 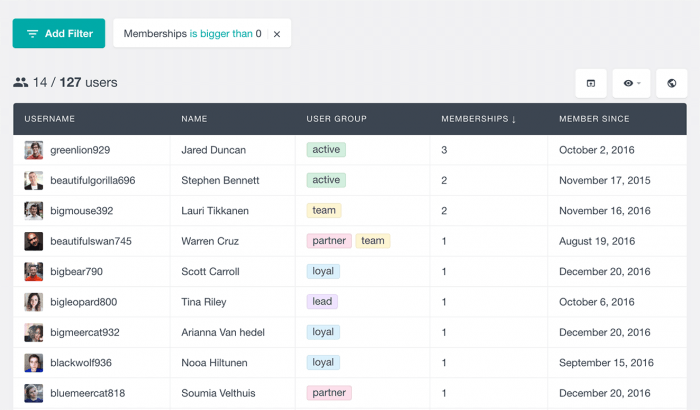 On top of that, you can export all of the data about your members either without distinction or for specific membership groups. The data can be exported to CSV files. MemberMouse gives you the tools that you might need to build a membership system, keep track of it, and offer your members countless privileges. 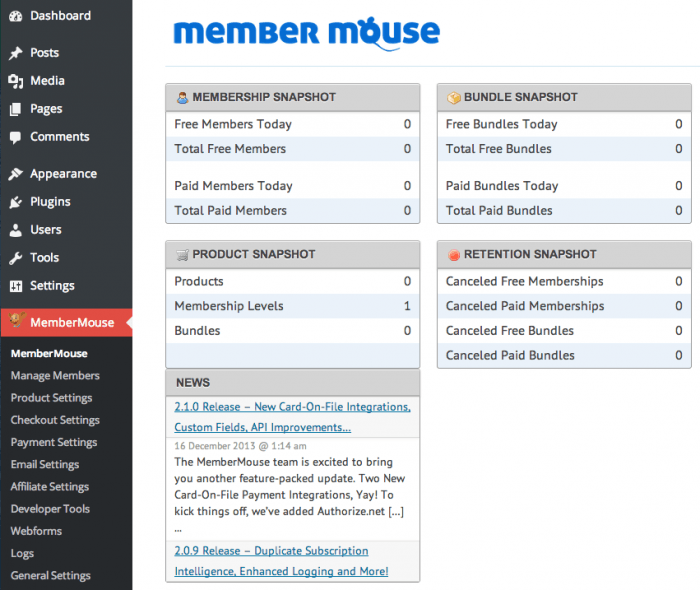 MemberMouse is pretty comprehensive in its features. First of all, it lets you establish a “Member's Area,” which you can protect using passwords and make it exclusively accessible to members, where they can view member homepages as well as special content, all depending on their membership level. On your side, you will get to manage every affair concerning your members, from orders and engagement to access rights, cancellations, and refunds. That means that you can tie the plugin to your online store and restrict part of it to members only. Members can also manage their own personal and billing information, as well as cancel their accounts and change their passwords. The plugin also enables drip content, coupons, and trial offers. You can use smart tags in order to make your shop more easily navigable, and MemberMouse allows you to receive payments in multiple international currencies. You can even use pricing split tests in order to determine which price would be most fair and effective. Employees at your website can have their own accounts in order to manage the backend with you, and for extra protection over your content, you can have the plugin automatically block any account whose log-in information was shared with an unsubscribed user. This plugin enables you to protect all of your content, including media content, from plagiarism. 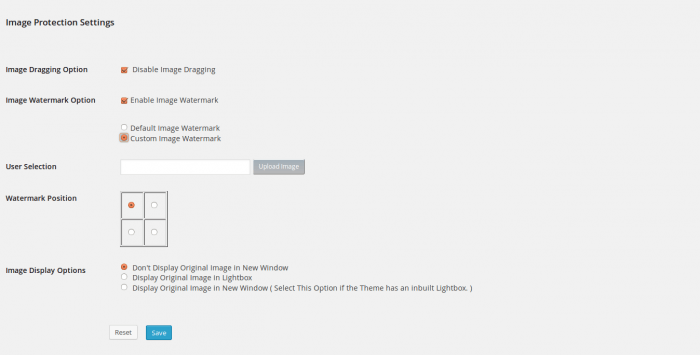 The Smart Content Protector plugin was made, in particular, to protect text and images. Its core feature lets it disable any shortcuts for copying content, like the right-click menu, Ctrl+C (copy), dragging images, etc. You can even use it to disable users from viewing the page's source code. Screenshots can also be countered by displaying a custom alert message whenever the user uses any snapshot method. These are all the default functions, but inside the plugin, you will get to customize both the text and image protection settings as you wish. You can disable links, protect specific posts, and so on. The plugin also enables you to block certain users for trying to find a way around your content protection barriers. All of this can be done so easily from inside your dashboard. This plugin lets you block users from viewing pieces of content until they fill in a subscription form. As pretty obvious from its name, this plugin protects your content behind an opt-in subscription form. Once a user subscribes to your website, and perhaps pays a membership fee if you decide so, they gain access to your content. Until then, the content can be completely hidden. When a user fills in one of these opt-in forms, the data is automatically saved to your database. You can then have it stored in your mailing list plugin since Opt-In Content Locker is compatible with MailChimp, GetResponse, iContact, AWeber, iContact, Campaign Monitor, and various other plugins. Besides protecting your content, this website can be quite a powerful lead generation tool. With WP-Members, you can create a powerful subscription system for your WordPress website in order to make your content exclusive. 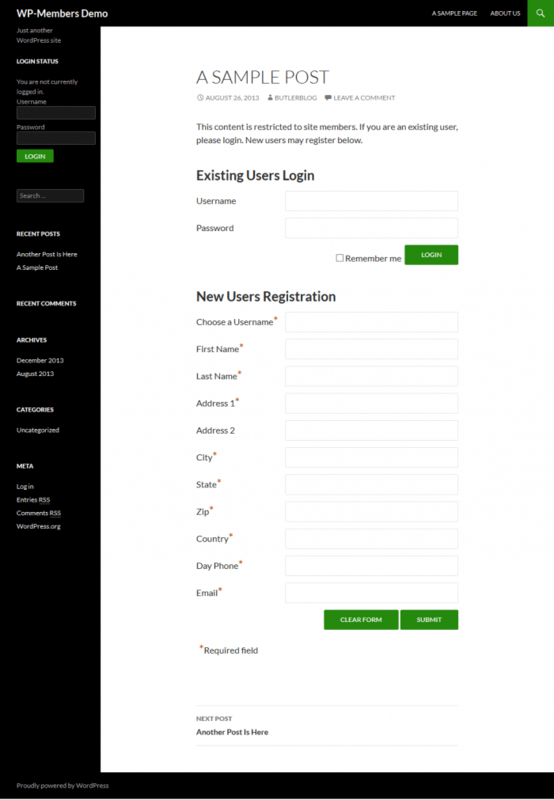 Fully-integrated with and specially-designed for WordPress, WP-Members lets you establish a membership system without having to apply any modifications to your website's original theme. You can use it to lock posts, pages, both individually or based on their categories or sections. Members can log in through a sidebar widget that you can add using WP-Members, and you can make your approval necessary for any new registrations. The plugin will notify you whenever a new registration is made, and you can approve or decline it through your dashboard. 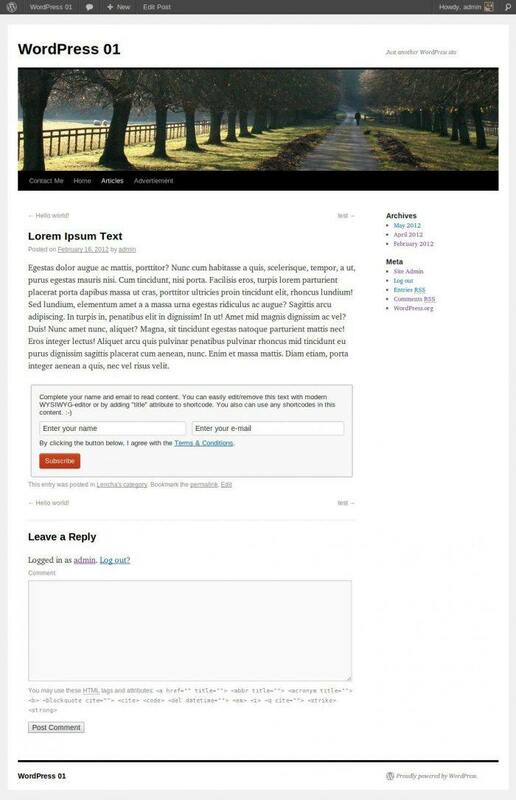 Because WP-Members places the content protection on the frontend, it is added to the content pieces themselves rather than on the native WP pages. You can set up the plugin as to have it automatically produce an excerpt for each locked piece of content, and there are more than 100 different actions and filters to be applied to these pieces.